The world is too much with us. -- said poet William Wordsworth. But, Fidel Brookes of Mt. 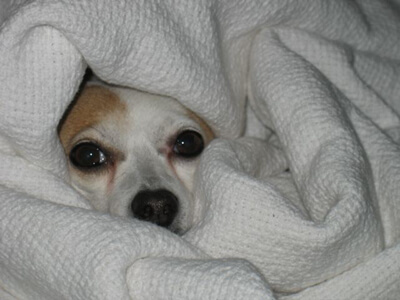 Pleasant, Mich., has the solution: Just wrap up in a cozy blanket, snuggle in, and let the world go by.